Hi Everyone, we grew these mini pumpkins shown in these pictures in our garden over the Summer and we had a large yield. 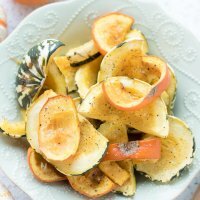 They taste like a mixture between butternut and acorn squash. 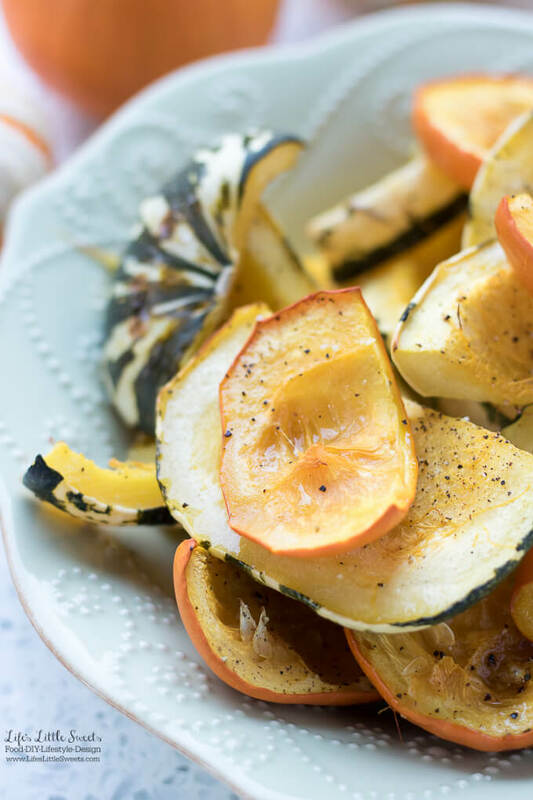 Their skins are thin enough (and when roasted enough) so that they can be left on and eaten (except around the stem). Not having to remove the skins saves considerable time (make sure you get ones that do not have wax on them, in that case I would skin them). In the recipe card below, I give an option for making them sweet or savory. In the photos here, I made them with salt, pepper and olive oil. 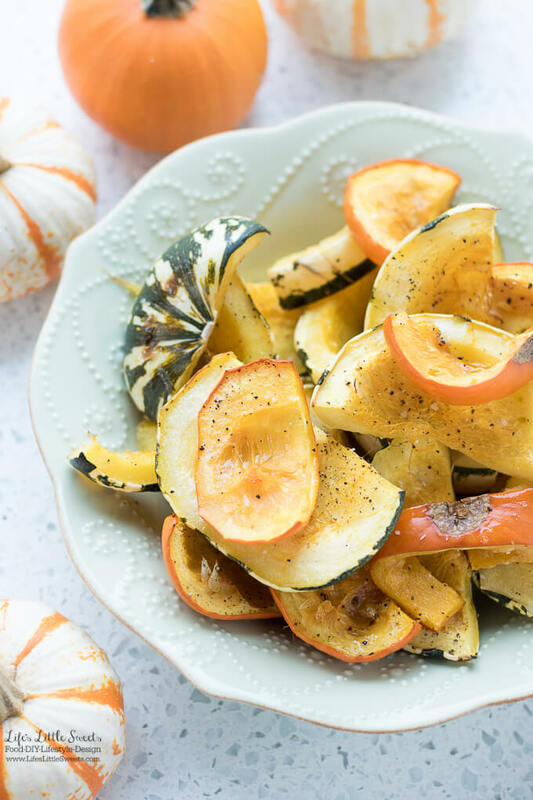 This Rustic Oven Roasted Mini Pumpkin Squash is one of many pumpkin recipe posts on LLS; to see all the pumpkin-related recipe and posts on LLS, visit here. 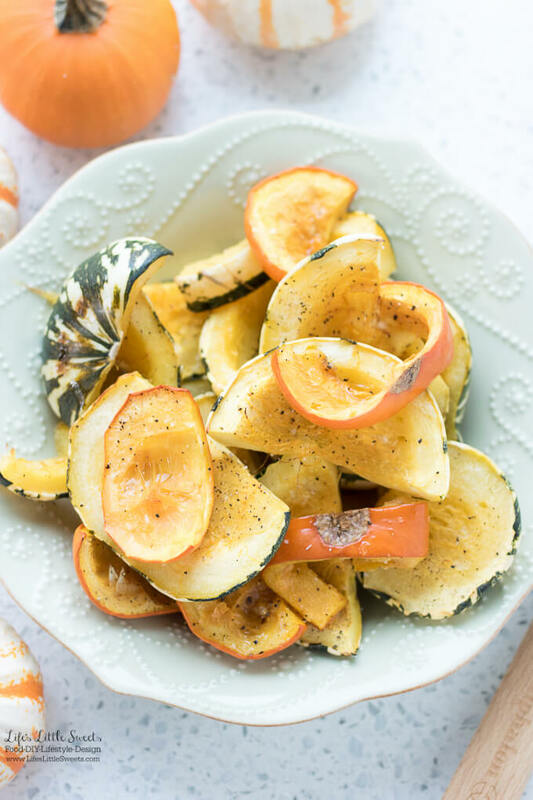 I know you will love this Rustic Oven Roasted Mini Pumpkin Squash recipe! 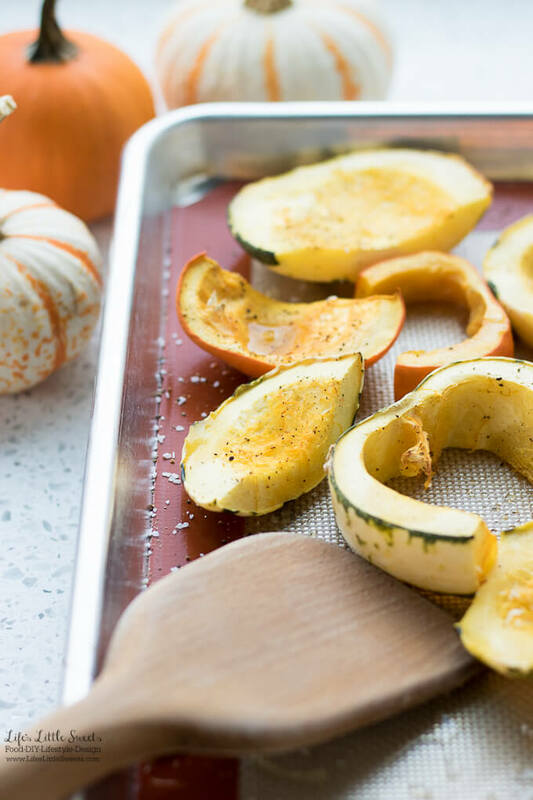 Place mini pumpkin rings on a lined, rimmed baking sheet. 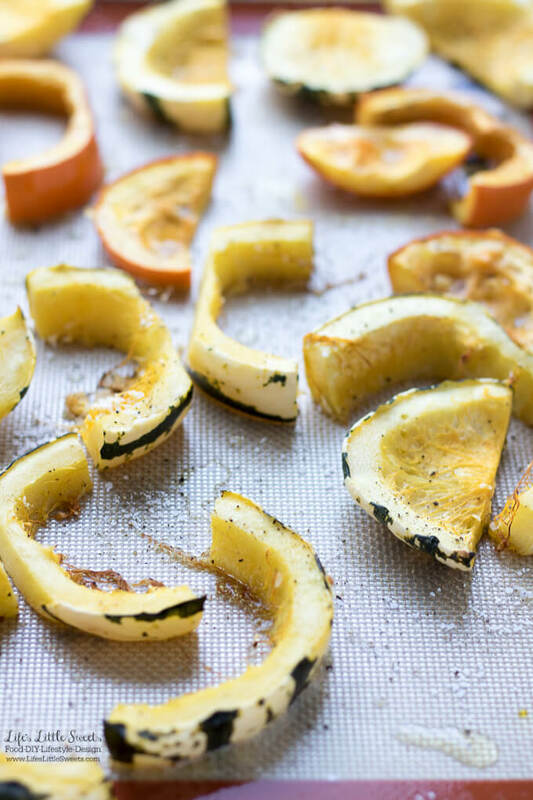 Drizzle olive oil over the rings and sprinkle Kosher salt and pepper evenly over it. For Sweet Option: Drizzle maple syrup and evenly sprinkle the brown sugar and cinnamon evenly over the slices. 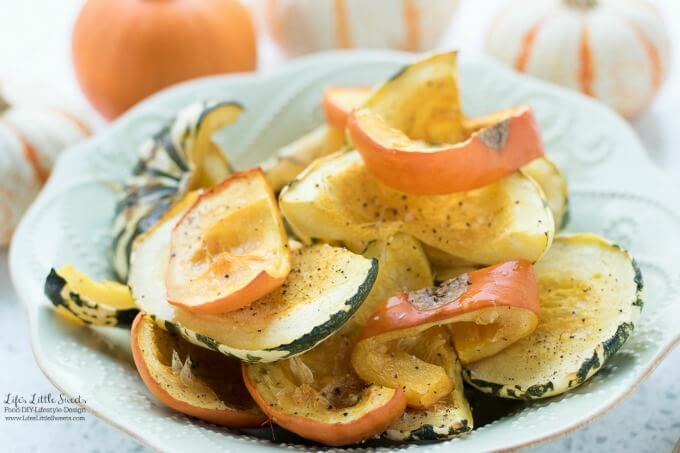 Bake for 30 minutes or until slices are tender when pricked with a fork. Enjoy!